This is part 2 of the series on the developments in Dubai. Do check out part 1 here. Simply breathtaking. The Burj Dubai. Construction began in 2005 and is expected to be complete by 2008. 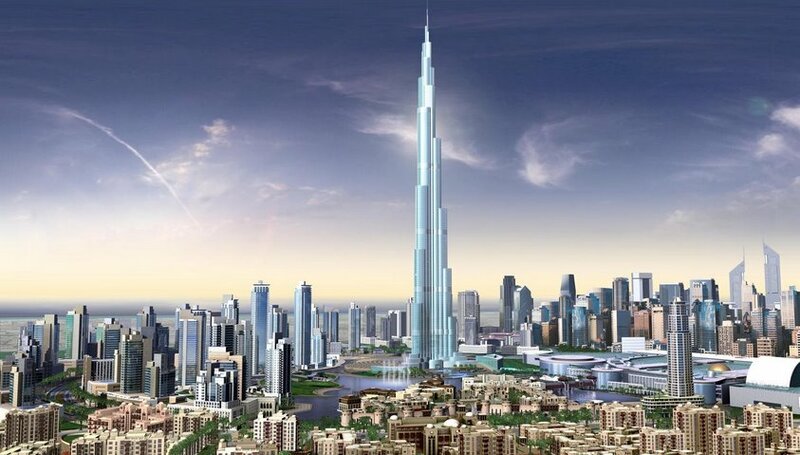 At an estimated height of over 800 meters, it will easily be world's tallest building when finished. 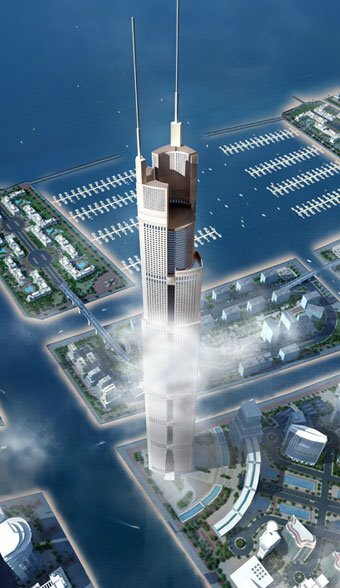 It will be almost 40% taller than the the current tallest building, the Yaipei 101. The Burj al Alam, or The World Tower. 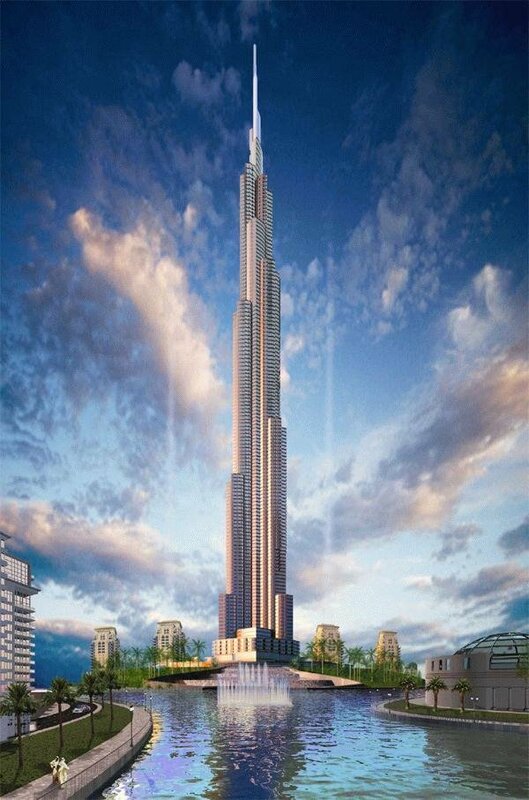 Upon completion it will rank as the world's highest hotel. It is expected to be finished by 2009. At 480 meters it will only be 28 meters shorter than theTaipei 101. 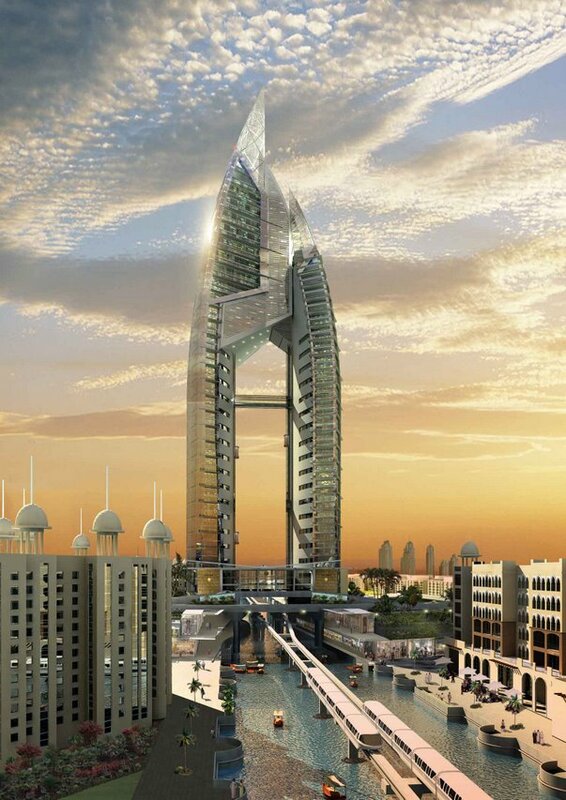 The Trump International Hotel & Tower, which will be the centerpiece of one of the palm islands, The Palm Jumeirah. Currently, the largest amusement park collection in the world is Walt Disney World Resort in Orlando , which is also the largest single-site employer in the United states with 58,000 employees. 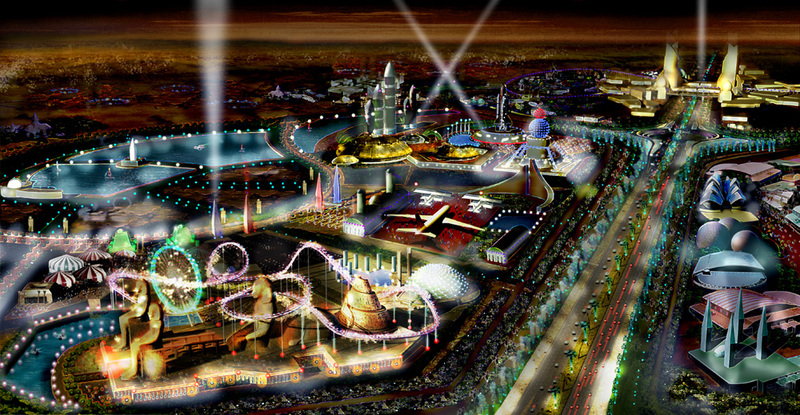 Dubailand will be twice the size. 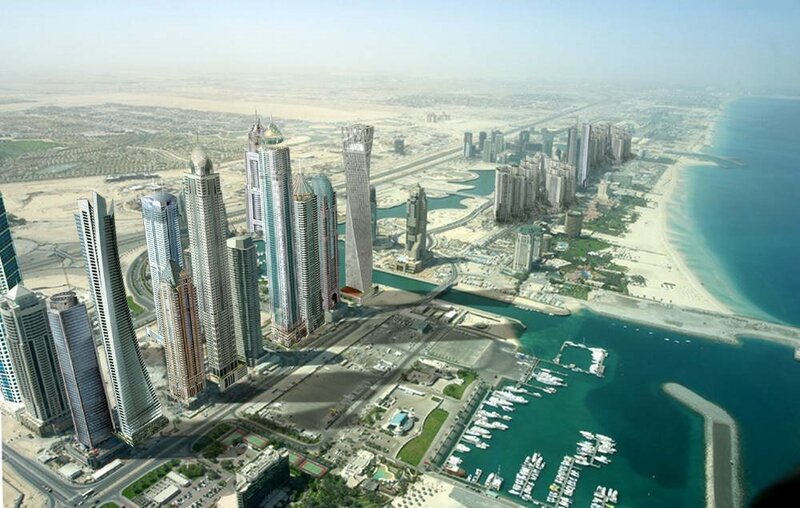 The Dubai Marina is an entirely man made development that will contain over 200 highrise buildings when finished. 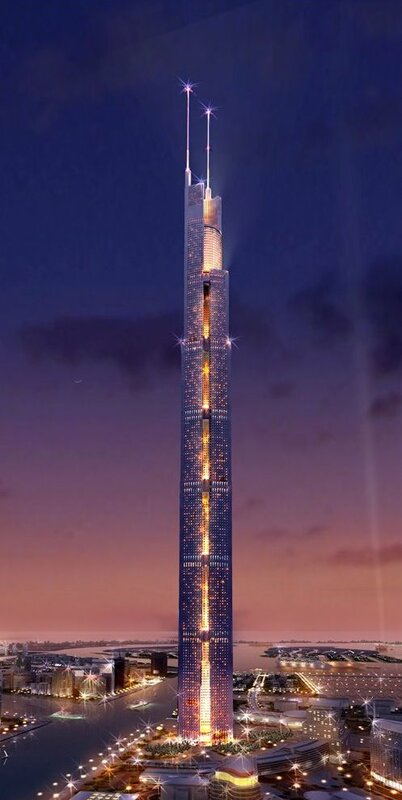 It will be home to some of the tallest residential structures in the world. The completed first phase of the project is shown. 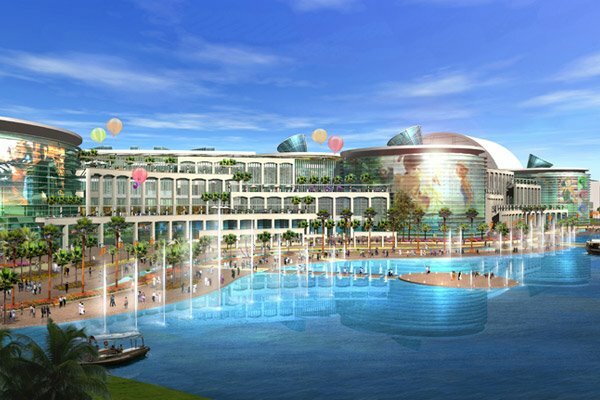 Most of the other high rise buildings will be finished by 2009-2010.
he Dubai Mall will be the largest shopping mall in the world with over 9 million square feet of shopping and around 1000 stores. It will be completed this year. Ski Dubai , which is already open, is the largest indoor skiing facility in the world. 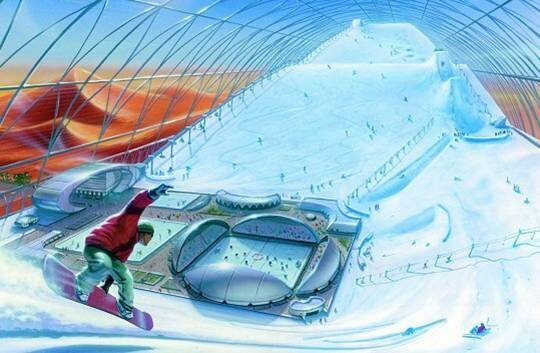 This is a rendered image of another future indoor skiing facility that is being planned. Some of the tallest buildings in the world, such as Ocean Heights and The Princess Tower , which will be the largest residential building in the world at over a 100 stories, will line the DubaiMarina. Amazing eh? If you liked this post please digg / stumble it. dubai truly has put itself on the map. i wonder though how much of this prosperity is reaching the middle and lower class. The indoor ski rink is quite exciting to look at, and I assume it would be enjoyable to snowboard down. The fact that it would be open all year is quite a phenomenon, as someone could practice snowboarding all year long in their hometown. wow … its so beautiful …. will gather some $$$ to visit those places soon. Well actually this city is amazing right now, I can't wait until 2015 to see how it's gonna look, I would love to visit Dubai but flights are so high!! I was searching for a flight Miami-Dubai round trip and the price was 2,350 USD! I think I have to wait and save more money or wait until airlines get cheaper. All I can say is WOW! That skyline is going to look phenomenal. Ive been to the top of the Empire State Building, World Trade Center, and the Sears Tower…but those dont have anything on this new tower. The amount of development going on in Dubai is amazing. 100% financed by our gasoline usage. And politicians say there is no benefit to drilling in the US. Wonder what they would do if someone blew up one of those buildings. And all that is brought to you by oil. Once we have a alternative fuel source they will be screwed. Amazing, how many year this building should stand ? Amazing to see what is being thought up. I've seen Ski Dubai on Travel. Would love to visit it. FYI: There is very little actual oil in dubai. before you start lecturing the world on our disgusting dependence on foreign oil, read a book. 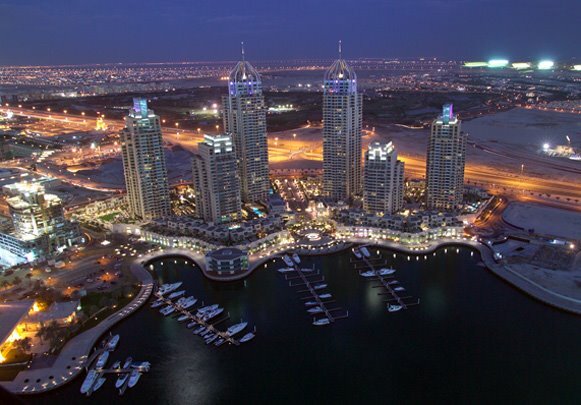 Dubai's success stems from the fact that its a free port => everyone wants to trade there => they make a LOT of money. if you wanna see a legitimate problem that we need to deal with before the oil crisis: the readiness and willingness of Americans to give up their personal constitutional rights and freedoms. just came back from Dubai this place is awsome never seen a city this clean almost no crimes very friendly people and too much to see in Dubai,cant wait to go back.my kids loved it didnt want to come back.its great place for family too. My question is, who are all these alleged tourists that are planned to utilize these developments? There are still people in the world that are blessed financially, however, in this time of economic uncertainty, especially in Europe, America, and Asia, where are places like Dubai going to get their tourists from? Do these developers honestly think the average person is going to be able to afford such vacations when they can barely afford the very thing that is fueling this rapid construction? Anyone can build a sustainable city (and/or buildings) in the desert, that doesn't really make is "sustainable" now does it? I'm not biased or anything, I am personally from California in the US and I'm not just some American that wishes to see Dubai developments fail, if that were the case, I would be lying if I said I didn't think cities like Las Vegas would fail as well decades or even sooner from now, which I think they will. The only good I see from this prosperity so far is the development of water desalinization plants. Those will help in the future, but what is fueling these plants? That's something I'm not so sure about right now, I will have to look into that. Nice thought there, Garrett. But the recession probably won't last more than 5 years. Dubai Fotos and you will get some great Image Results of Dubai. Sorry, it's not possible to send the link. 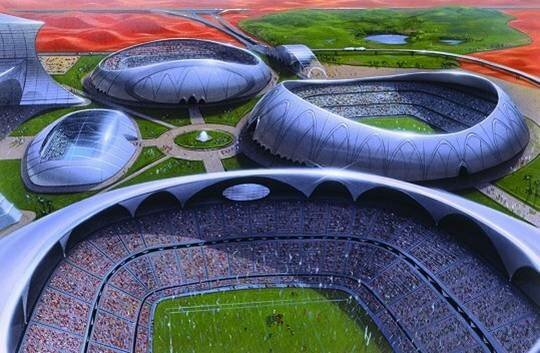 Dubai looks like some kind of out-of-this-world futuristic city. I'd love to visit there and have an unlimited ammount of money to spend. It'd be awesome! Wow. Breathtaking. That's all I can say.